Be sure to swab the contacts on the bottom of the atomizer as well as the battery contact. I prefer to use a cotton swab for this. 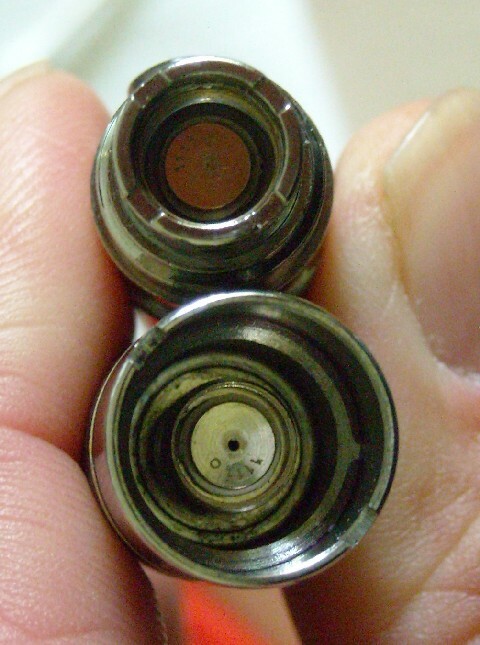 Failure to keep these contacts clean can cause a reduction of current resulting in reduced performance of the atomizer. It can also cause a blackened deposits to form due to the heating of e-juice between the contacts. I swab mine each time I unscrew the cone from the battery prior to charging.